The two-year Master’s in Business Information Technology is an internationally oriented programme and is taught entirely in English. You can start in September and February. The master’s in Business Information Technology focuses on IT-based business innovation. You’ll become an expert at applying IT to devise new services and radically improve the way businesses work. IT continues to drastically change the way we work and live. As a BIT professional, you know that IT is not a goal unto itself. Using your keen insight into business processes and organizations, you know how to implement IT to innovate and add value. The two-year programme provides you with knowledge in areas like E-strategy and E-commerce, business and IT architectures, IT-based business models and management of IT projects. You will gain experience in designing successful organizational change programmes to implement new ways of working. The master’s programme in Business Information Technology recently celebrated its 20th anniversary. It is run by leading research groups and pre-eminent scientists and scholar-practitioners. 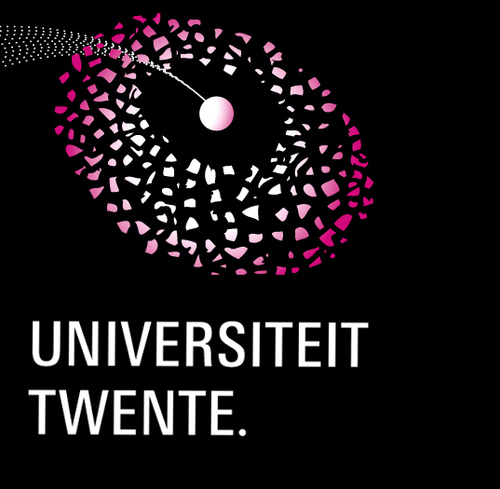 The programme consistently ranks among the top-3 Master’s programmes in the Netherlands. Business Information Technology graduates are in high demand in industry, consulting, research and government. The shortage of individuals that can bridge IT advances and industry demand is expected to increase even further in the years to come. Exciting national and international careers await you! The Master’s in Business and Information Technology is a two-year programme comprising 120 credits. The entire programme is taught in English. In the first year you will take a number of courses, while the second year involves Master’s thesis project. The programme’s educational structure is characterized on the one hand by its three specializations, and on the other by its emphasis on core courses in ICT management, E-commerce, Strategy and Business Process Integration. Other required courses depend on the specialization you select. Research electives provide direct links to on-going research projects at the faculty, enabling you to refine your research skills. Career electives are aimed at certain career choices and prepare you for a role in industry or consulting. In addition to the courses offered at the University of Twente, you may choose from the international courses offered by our international partner networks Ercis.org, IS-Link and others. All in all, the Master’s in Business and Information Technology offers you plenty of scope to tailor your programme to your own individual wishes and interests. The programme culminates in a Master’s project of 30 credits. Most graduates complete their projects within an industrial business context. Our faculty members will provide you with thorough academic guidance to arrive at a good mix of research rigor and practical relevance. International projects are also feasible using IT tools such as online video conferencing for team collaboration. The programme will prepare you for a leading position in the field of Information Systems (IS). Management and IT will form the very core of your training. You will learn to integrate and apply this knowledge in the broad context of organizational practice. Also, you will develop your communication skills, interpersonal prowess and ability to work in groups. Finally, you will be well suited for a successful career thanks to your extensive knowledge of IT issues and organizational challenges, your critical attitude and your positive disposition towards lifelong learning and innovation. In today’s global and competitive world, businesses that work together seamlessly to offer leading services thrive. This specialization gives you the knowledge and theories to design and implement business and IT architectures that enable businesses and business networks to work effectively. You understand how the IT infrastructure and software systems can be configured to support business processes and service innovations. The methods for specification, design and implementation of information systems are part of your toolbox. You can analyse current enterprise architectures and their limitations (e.g. lack of flexibility, lack of support for ecommerce and social media, limited security,…). Using the latest theories and modeling languages you are able to design a goal architecture and assess the optimal change process. Through alignment of strategy, business process and IT architecture you will learn how to make IT work. A special focus is put on the use of IT to integrate business in a “value net”, in other words, and agile business network (one of the research themes of the research groups involved). Specialization courses: Design Science Methodology, Specifications of Information Systems, Implementation of IT in Organizations, Design of Software Architecture, Multi-Agent Systems, Data Warehousing & Data Mining, Advanced Requirements Engineering. To enrol, you should have a Bachelor’s degree (BSc. or B.Eng.) in Business & IT, Computer Science or Computer Engineering. Our graduates move on to exciting careers as IT architects, Enterprise Transformation Consultants, Enterprise Integration Specialists, or Researchers/Analysts in Enterprise Modelling. For both SME’s and large corporations, Information has become a key asset. Many IT specialists are employed or contracted in sourcing arrangements with IT companies. How can the IT function deliver a high quality service set to the business? What software systems should be installed to support business processes and services. How can the web presence and social media usage of the company be designed and implemented? These questions have become key in modern companies. Without a professional management of IT modern organizations will not survive. The IT management role requires knowledge of business processes and IT as an enabler of innovation and change. You will learn how strategies can be built using IT, how E-commerce is using IT to serve customers on the web. Using financial knowledge and techniques from economics, you will master how to design a business case for IT projects. You will study the pros and cons of sourcing IT globally and the challenges of managing IT projects. Specialization courses: Foundations of Information Systems, Production & Logistic Information Systems, Computer Ethics, Information Services, Management of Organizations Operations and Technological Innovations, Implementation of IT in Organizations. To enrol, you should have a Bachelor’s degree in Business & IT, Information Systems (Informatiekunde), Industrial Engineering & Management, Computer Science, or (International) Business Administration with major in Information Systems or equivalent.